This show will be very special to me because its all about what Jamaica Plain (my hometown) means to each artist and their different takes on it. There are 11 of us participating so that should present a lot of cool and unique angles. Details below! 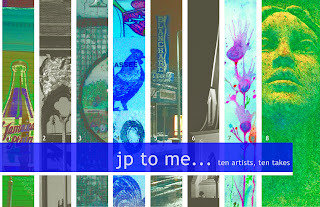 Displaying the richness of Jamaica Plain through the work of eleven local artists, the public art exhibit "JP to Me" will be hosted at the historic Footlight Club. With subjects spanning architecture, street scenes, nature, and abstract shapes, the artists' visions are as diverse as the neighborhood they derive from. If home is where the heart is, there's no place like this exhibit to witness the variety of Jamaica Plain. The contributing artists are Robert Festa, Kristin Mallery, Edward Gault, Amy Hitchcock, Kate Moss, Keith Supko, Matt McKee, Ted Cormier, Erik Gehring, Lucie Wicker, and Bill Shamlian.